If you have yet to show appreciation for this gentle bovine, it is never too late. Cows are perhaps the most useful of domesticated animals. From their meat down to their hides, humans have benefited greatly from having them on our side. 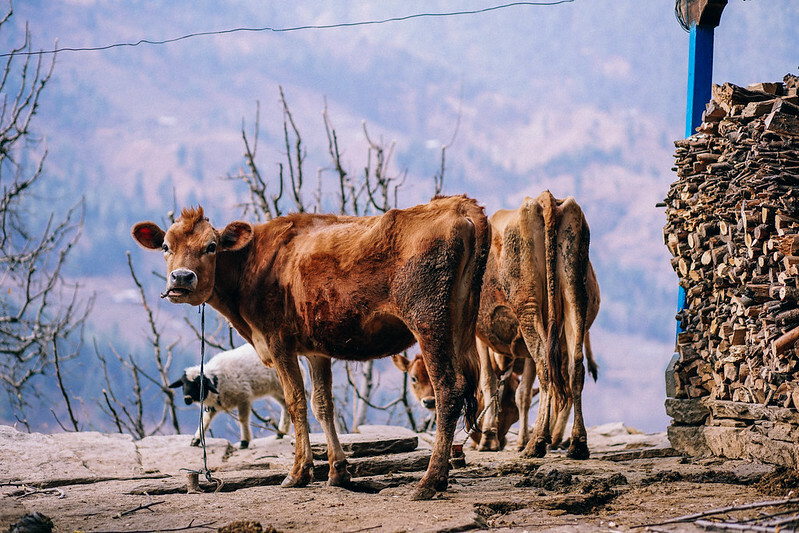 Cows have played a huge role for the world in general. In fact, they were the first livestock to have their genome fully mapped, helping scientists further their research. Products created from their milk, such as ghee and cheese, are enjoyed in many countries as well. 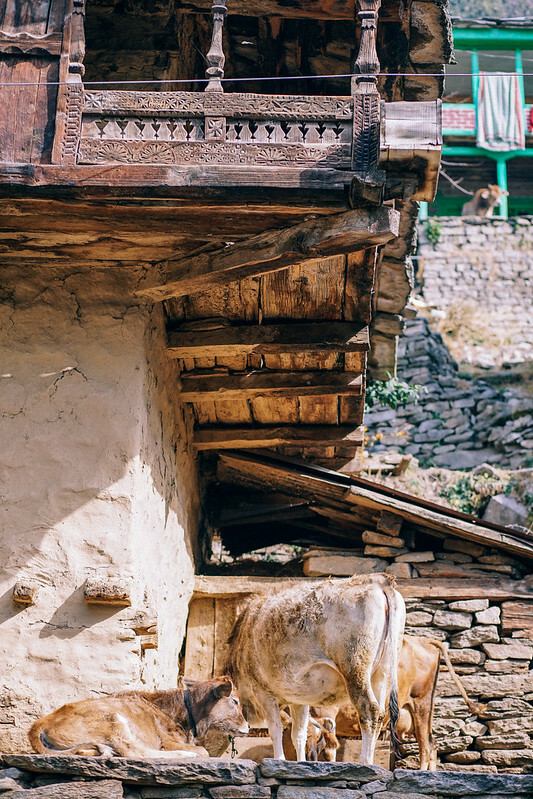 In some cultures like India, cows are even respected and protected. 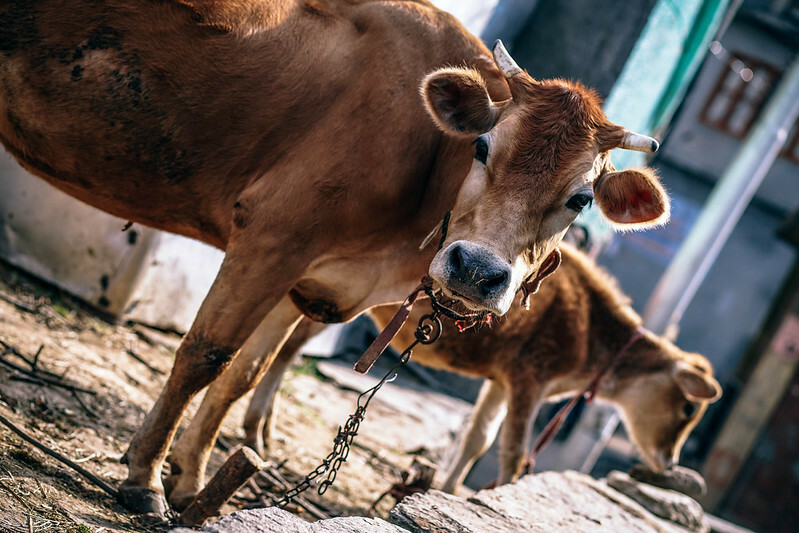 Whether it’s in the past or in the future, these bovines have already secured a special place in history. In the hunt for some amazing hi-res images featuring our beloved cattle? Then check out these free cow photos that are sure to make you smile. A brown cow suspiciously looking at the camera. 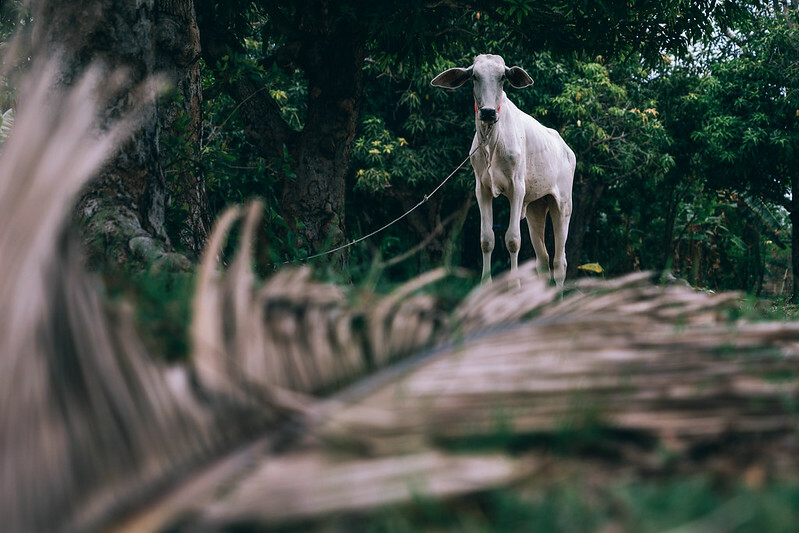 White cow photographed behind dry leaves while being tied to a tree. Chained cows in a backyard in an Indian country side. 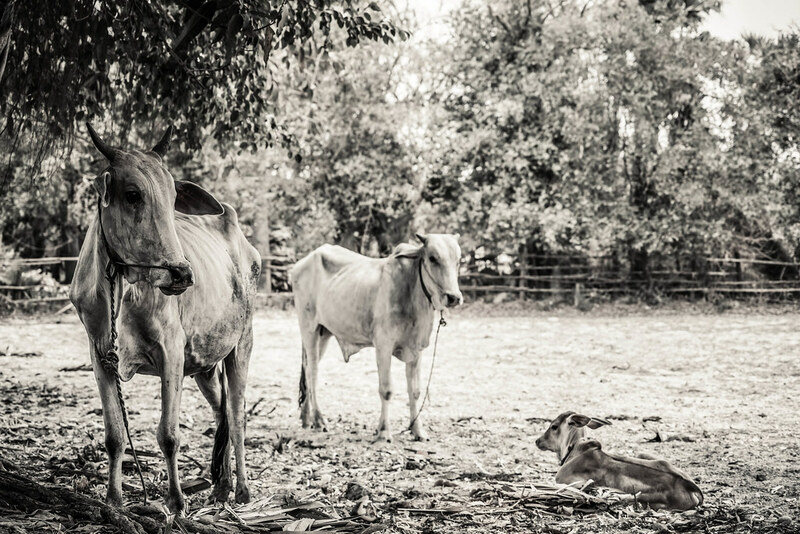 A farm in Cambodia with two cows photographed in black and white. 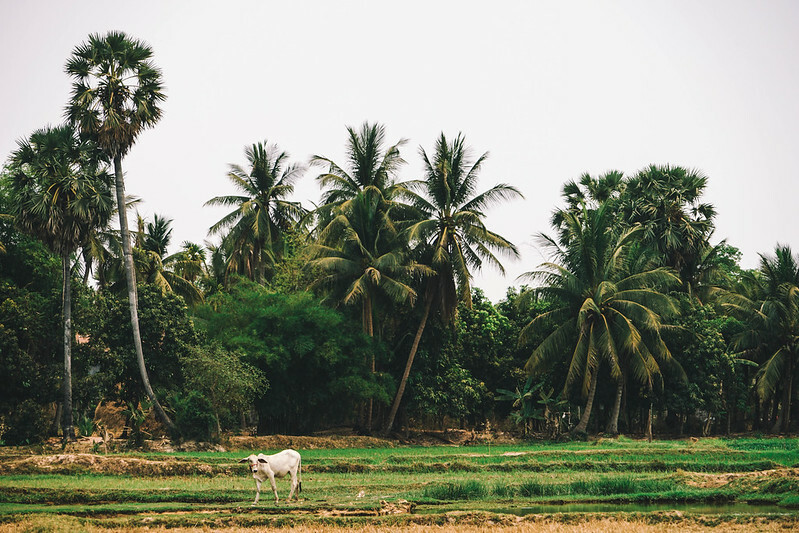 A white cow walking on a field in a beautiful Cambodian country side filled with tall trees. 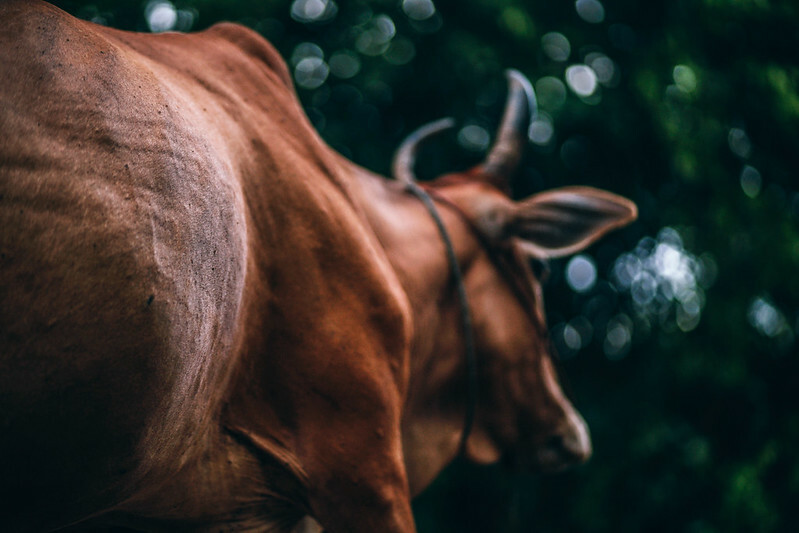 Brown cow with small horns in Cambodia photographed from up close.